Careful planning of your office space can increase productivity and the satisfaction of your employees, making it beneficial for everyone. However, while you may be adept at running your own business, you may not have a thorough knowledge of office design. For this reason, it extremely important to consult with an office planning professional when you are setting up a new office or relocating to a more suitable space. At National Project Group, an experienced member of our team will work closely with you to discuss your office furniture and system needs to ensure that you optimize the way you use your space. The following are five common questions that may be addressed when working with an office planning consultant. Does an open or closed layout fit your needs? Progressive companies like Google are known for their open office plans that encourage interaction and collaboration and often have a less strict atmosphere. 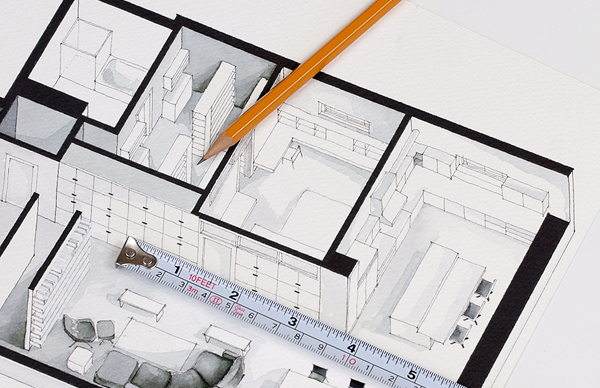 However, for many types of businesses, a closed floor plan is more conducive to productivity, privacy, and efficiency. Carefully consider which is right for you, as this will dictate a lot about your overall design. Does every employee need a dedicated workspace? Some businesses have many employees working remotely or traveling on a regular basis. If not every employee requires their own workspace on a daily basis, shared or flexible spaces can cut costs and be more appropriate for your design plan. What kind of furniture do you require? Do you want desks or tables? Do you need conference room furniture? Do you need file cabinets or shelves that lock for sensitive information? Determining what office furniture you need will help decide your budget and you will know what you need to fit into the office space. Furthermore, we can help you explore pre-owned or remanufactured options that can save you thousands of dollars. How will you adapt as your company grows? As your company grows, your workforce will likely grow, as well. When designing your office space, you want to ensure you leave the option of rearranging and/or adding more workspaces. Planning for future growth now can save you headaches and cost in the coming years. What are the special needs of your company? What kind of technology do you use and what type of power setup do you need? Will you provide a dedicated lounge or lunch space for employees to relax? Do you need special appliances that require their own designated spaces? Any special considerations for your business should be addressed when planning your office layout. The project managers at National Project Group can help you find the right solutions for your office space planning. Please call us today at 800-821-3522 to discuss how we can help you.